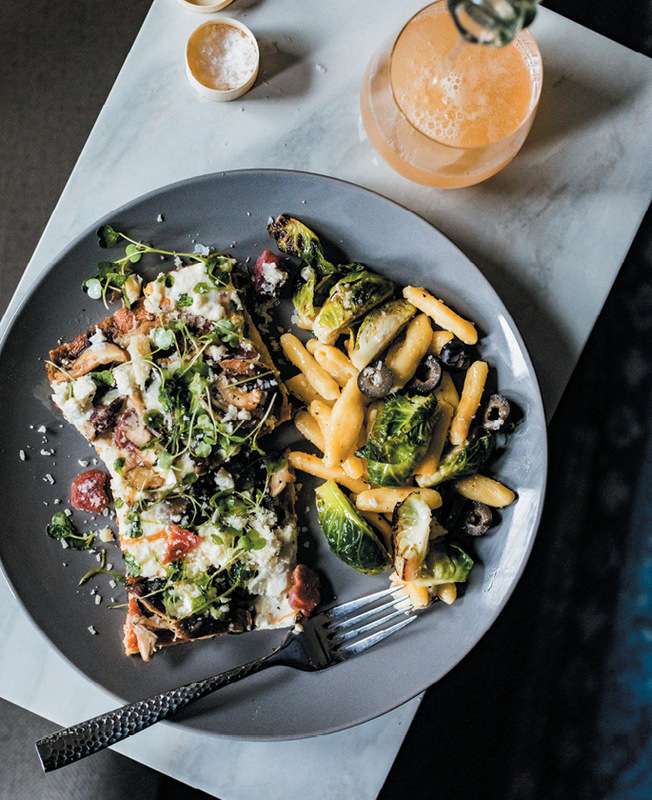 Whole wheat pizza and pasta salad are lightened up with seasonal toppings, while a fizzy rosé cocktail rounds out the meal. Angel Postell and sons Riley (left) and Chase (right) make dinnertime fun by prepping locally grown produce together, slicing bananas for pudding and Brussels sprouts and tomatoes for pasta salad. With two active boys in the house, carbs are a must; Postell makes the meal healthy with whole wheat pizza dough and loads of fresh veggies. When grilling pizza, make sure to have your toppings ready, as the dough cooks quickly. Pasta salad tossed with lemon-pepper dressing can be served warm, cold, or at room temperature. Postell likes to refrigerate the dish overnight—letting the flavors sink in—and serve it the next day. 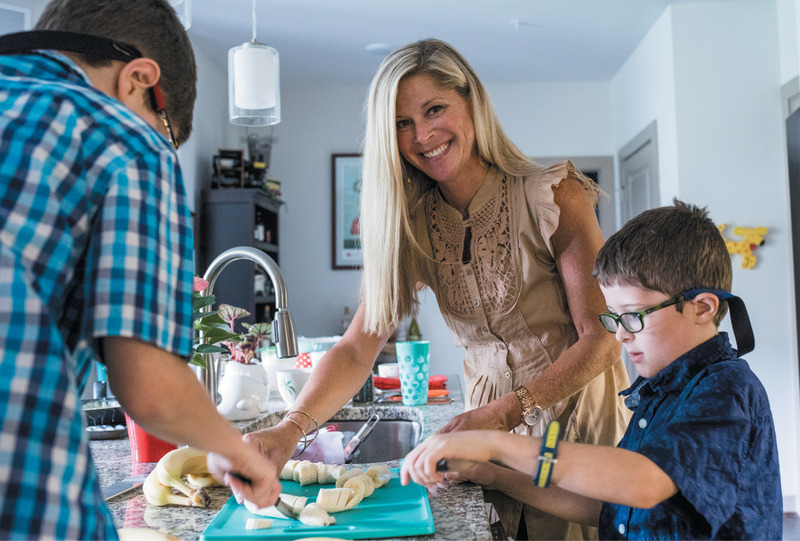 Before dinner, Postell takes the boys grocery shopping at Veggie Bin or the Charleston Farmers Market, teaching them the importance of selecting fresh food—from pizza dough and pasta to vegetables. Uncle Val’s botanical gin is light and not overpowered by juniper, pairing nicely with rosé. Using any other type, Jayce McConnell warns, will “kill” the cocktail. 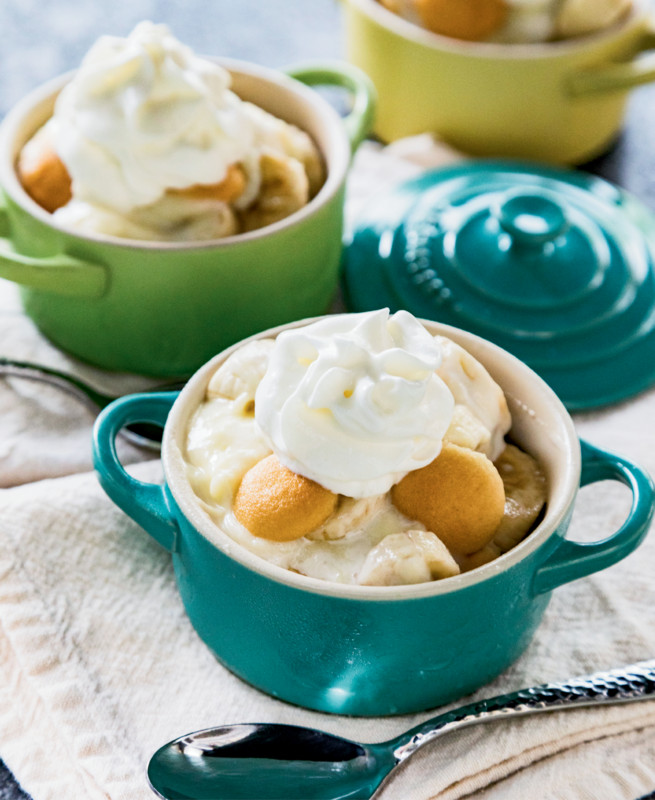 Classic banana pudding tastes like an indulgent dessert, but it’s also a sneaky way to add more fresh produce to the meal—there’s about one serving of fruit in each portion! Be sure to constantly whisk the pudding ingredients, so that a smooth, thick custard forms. When dinner is ready, the family brings the party to the sofa for a laid-back meal. After more than two decades in marketing, Home Team Public Relations owner Angel Postell understands that a fun event is the key to drawing a happy crowd. During her eight years as director of Charleston Wine + Food, she helped turn a string of tasting tents and dining parties into a multimillion-dollar culinary smorgasbord. And starting on August 21, Postell helms the second round of BevCon Charleston, the small-batch libation festival bringing together wine buyers and sommeliers, craft distillers, and brewers. 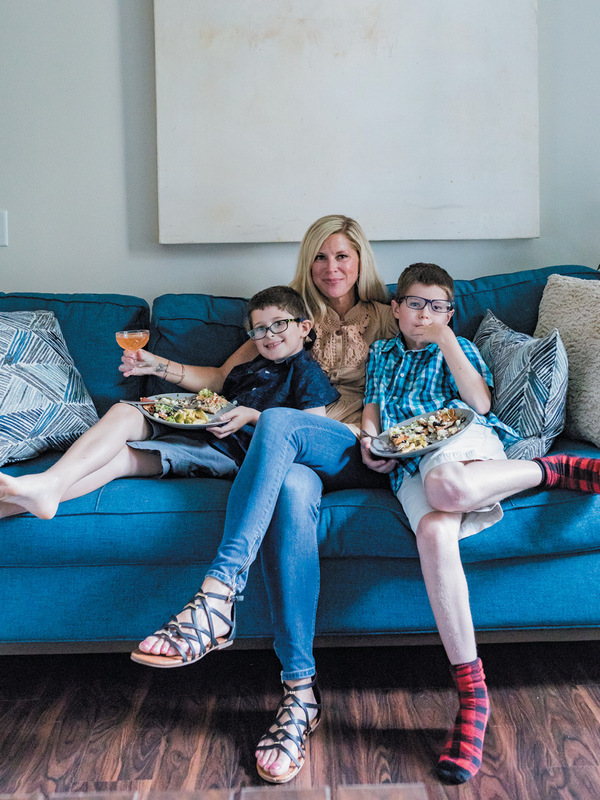 Her knack for encouraging fresh ideas has proven useful at home, too, when cooking with sons Riley, age 10, and Chase, eight. Getting two boys enthused about a healthy dinner of vegetables and whole wheat might seem like a daunting task, but Angel knows it’s all about how you spin it. 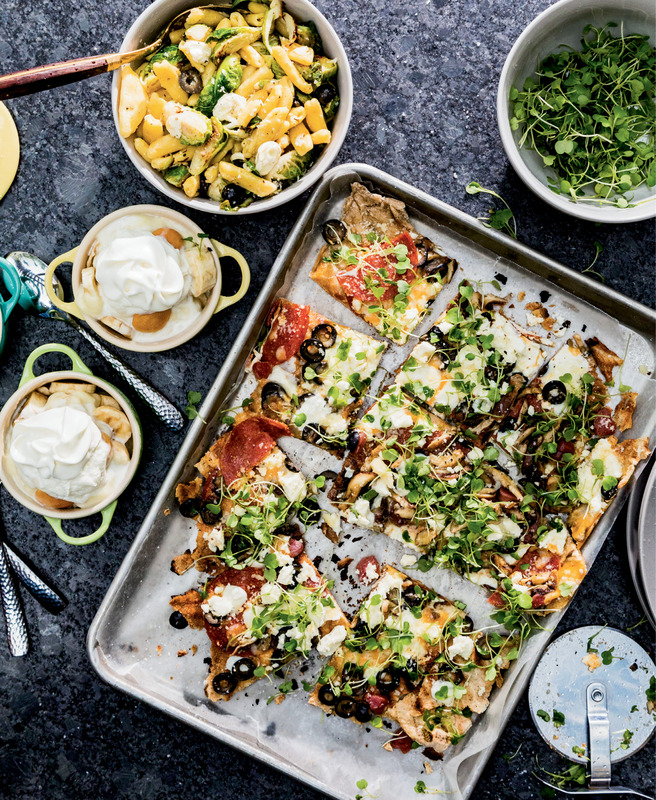 For quick and easy school-night meals, she leans on kiddie favorites—pizza and pasta—but sneaks plenty of greens into the dishes. The carbohydrate-heavy meal is just what her boys need to boost their bodies and brains, Postell notes, adding, “Kids are so active, and they need food that gives them lots of energy, especially when they go back to school.” Still, Mom makes sure to harness that youthful energy. 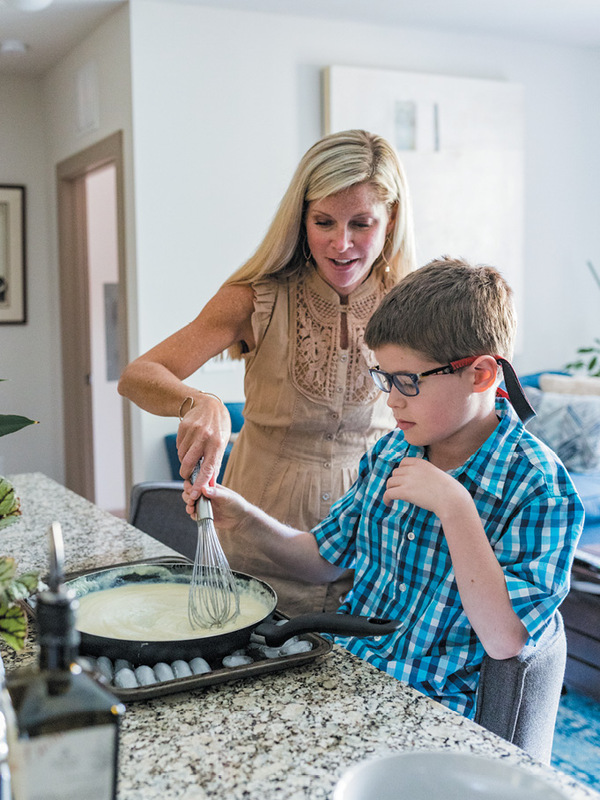 “I try to involve the boys in cooking, so that they’ll be able to do it for themselves later on,” explains Postell, who grew up with a single father “on a lot of fast food.” She equips the kids with oiled sheet pans and rolling pins, then enlists them in rolling out whole wheat dough from local purveyor Rio Bertolini, letting them form any shape they’d like. 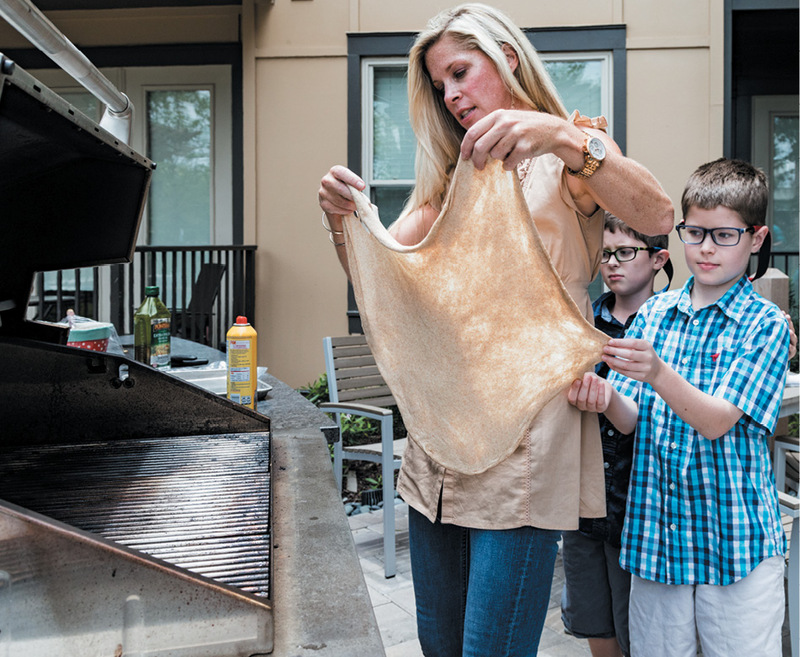 “I don’t believe in perfect food,” laughs Mom, noting that the crusts she tosses on the grill are often abstract in form. As a result, the boys have developed a taste for sautéed mushrooms, Brussels sprouts, Kalamata olives, peppery cheese, and spicy salami atop their pie slices and pasta salad. 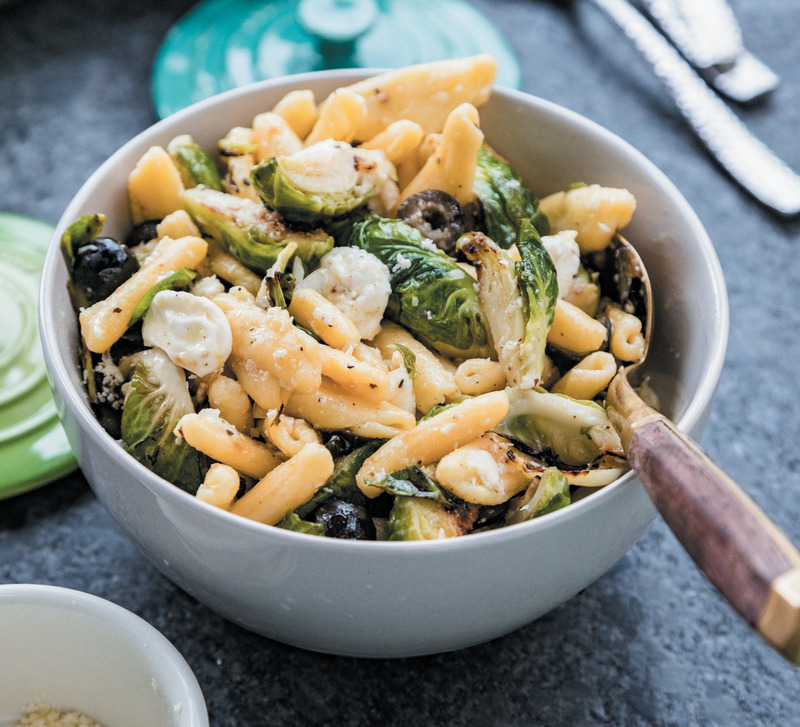 The addition of local broccoli microgreens adds freshness to both pizza and warm Cavatelli salad, which is dressed in a zippy vinaigrette made with lemon juice, shallots, and fresh basil. 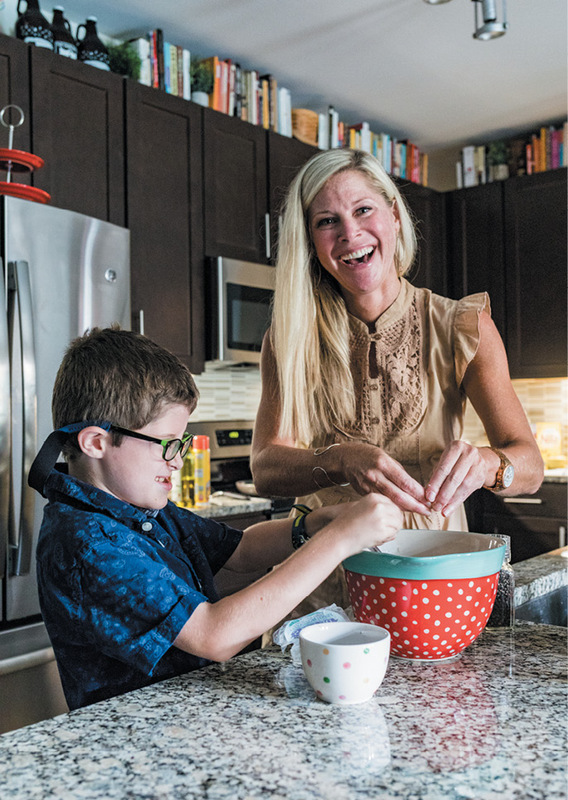 While her kids end the evening with traditional Nilla Wafer-studded banana pudding, Postell mixes her favorite cocktail, using a recipe from bartender Jayce McConnell of Edmund’s Oast. 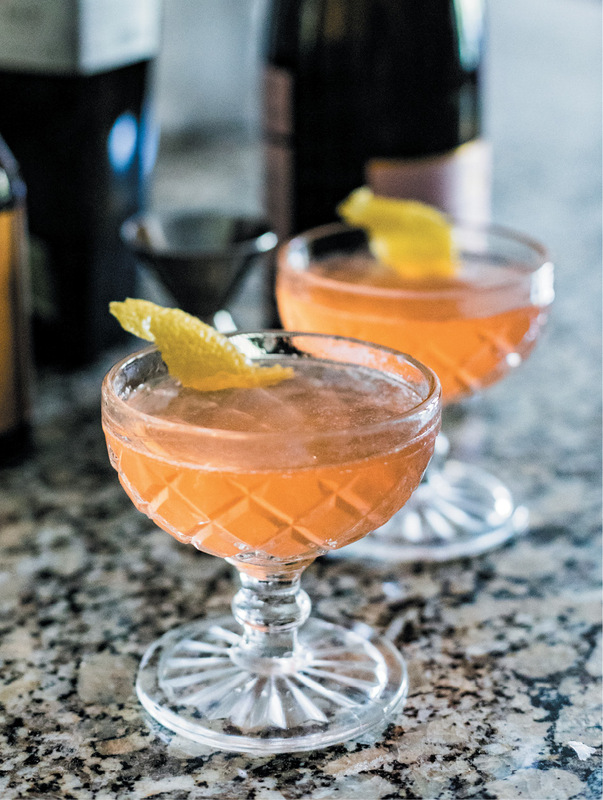 It’s a refreshing combination of sparkling rosé wine, strawberry-lemon shrub, and botanical gin, and it feels at home on a simple summer night.